ehmkay nails has been in the works for quite some time since I fell in love with nail art around 2010! I always did my nails, but I was really limited in my color selection. I remember doing a science experiment in the 6th grade on nail polish dry time, and I think it stuck since then! I'm from the NJ/NYC area and with my MA in Literature. I love to read and teach. While completing my Masters degree, I did my nails as my way to relax while finishing my thesis. I started buying more colors and doing more intricate nail art designs and layering combos. Eventually, I would take pictures and show it to my friends and boyfriend. The better half of ehmkay nails always supported my hobby and suggested that I start my blog which I am entirely thankful for! He dealt with me walking into drug stores and Sally's and even has helped with indie restocks. He even helps me pick out colors (basically, he is a great supporter). What is your favorite base coat? I used Nailtiques Formula 2 as my go to base coat. If I'm using a one coat polish or a creme, I add Bridge the Gap Ridge Filler (which you can find at Sally Beauty). My all time favorite top coat is Girly Bits Glitter Glaze. I also love Seche Vite for the speed of dry time and it works best with nail art as well. Many people complain their nails always break. That is because your nails need MOISTURE. I love Lush Lemony Flutter (don't get sticker shock; it lasts a whole year). 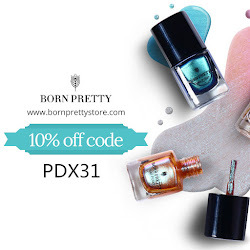 I also regularly use Paint Box Polish cuticle oils and KBshimmer matte cuticle balm. 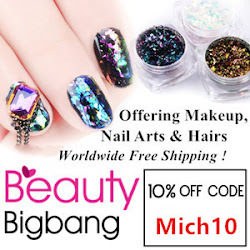 If you're interested in trying nail art, I highly suggest you go on amazon.com or ebay and search for "nail art dotting tools" and "nail art striping brushes." For under $5, you can grab both items and begin practicing nail art. I'm a HUGE polish fan and saw your site thru Cupcake Nails. What a strange coincidence...although pronounced differently, my nickname is EmKay based on my (maiden) name. Thought that might give you a laugh, because I sure did! LOVE your site! Keep up the great work!!! I realize this is way late because I never got notification of this comment but hello, and welcome! I'm glad you found my site!